Raised in the Bronx, New York, Branch trained in Karate for two and a half years before transitioning into Brazilian jiu-jitsu. He graduated from A. Philip Randolph Campus High School in New York, New York. Branch trained for three years with Michael Casey (black belt under Relson Gracie) in the Bronx, NY before he began training under the tutelage of MMA veteran, Renzo Gracie at his personal training center, and further developing his striking with Jason Strout(his first Head Coach) at Church Street Boxing Gym. Branch gained his black belt after learning from Gracie for about ten years. In addition to mixed martial arts, Branch has also competed in (and won) Brazilian jiu-jitsu titles in nationwide competitions. Branch turned professional in MMA in 2007 and compiled an overall professional record of 3-0 before being signed by Bellator. Branch then signed for Bellator and made his promotional debut at Bellator 11 against Dennis Olson. Branch was victorious due to submission (rear-naked choke) at 1:27 of the first round. Branch then competed in the UCC organization and defeated John Troyer via TKO (punches) at 4:26 of the second round. Branch returned to Bellator at Bellator 15 and defeated Derrick Mehmen via submission (rear-naked choke) at 0:26 of the second round. In May 2010, Branch’s coach Renzo Gracie announced that Branch had signed a four-fight contract with the UFC. Branch made his debut on the undercard of UFC 116 against Gerald Harris. Branch was knocked out cold with a slam in the third round, losing for the first time in his professional career. Branch was expected to face Aaron Simpson on September 15, 2010 at UFC Fight Night 22, but Simpson was forced to pull out of the bout with a staph infection. Branch instead fought Tomasz Drwal. Branch won the fight via unanimous decision, earning his first UFC victory. Branch next defeated Rich Attonito at The Ultimate Fighter: Team GSP vs. Team Koscheck Finale via unanimous decision (30–27, 30–27, and 30–27). Branch was rumored to face Dan Miller on March 19, 2011 at UFC 128. However, according to Dan’s manager, the fight was not offered. Miller ended up facing a different opponent. Branch next faced Rousimar Palhares on March 3, 2011 at UFC Live: Sanchez vs. Kampmann, replacing Alexandre Ferreira. Branch was defeated by Palhares when he tapped out to a kneebar early in the second round and was subsequently released from the promotion. Following his release from the UFC Branch signed to fight Jeremy May at Shark Fights 15: Villaseñor vs Camozzi. He won via TKO in the third round. Branch next faced of against Strikeforce vet Dominique Steele at Pure MMA: The Beginning. He won via unanimous decision. In his next fight Branch took on former UFC vet Anthony Johnson at Titan Fighting Championships 22. The bout was originally supposed to be fought at 185lbs, but both fighters came in overweight and the bout was changed to 195 lb catchweight fight. He lost via unanimous decision. In Branch’s next fight he took on another former UFC vet Dustin Jacoby at the inaugural World Series of Fighting 1. He won via unanimous decision. Branch next faced off against PRIDE legend Paulo Filho at World Series of Fighting 2. He won via unanimous decision. On May 16, 2013, WSOF announced a four-man tournament to crown an Inaugural Middleweight Champion. Branch will be one of the four men entering this tournament. Joining Branch will be former UFC vet Jesse Taylor, current MFCMiddleweight Champion Elvis Mutapcic, and former UFC vet Danillo Villefort. Branch took on Danillo Villefort in the open round of the tournament at WSOF 5. He won the fight via unanimous decision. In the Middleweight Tournament Final, Branch faced Jesse Taylor at World Series of Fighting 10 on June 21, 2014. He won the fight via D’arce choke submission in the first round to become the inaugural World Series of Fighting Middleweight champion. In his first title defense, Branch faced fellow UFC veteran Yushin Okami at WSOF 15 on October 24, 2014. He won the fight via technical knockout in the fourth round. On March 5, 2015, it was announced that a semifinal fight of the WSOF Light Heavyweight Championship Tournament between Matt Hamill and Vinny Magalhães was canceled and then changed to a fight between WSOF Middleweight Championship David Branch and Ronny Markes for the second semifinal fight of the WSOF Light Heavyweight Championship tournament at the WSOF 20 on April 10, 2015. However, on the day of the weigh-in, Markes was forced out of the bout due to dehydration and was replaced by promotional newcomer Jesse McElligott. He won the fight via technical submission in the second round. Branch defended the WSOF Light Heavyweight Championship against Vinny Magalhães at WSOF 33 on October 7, 2016 in the main event. He won the fight via unanimous decision. 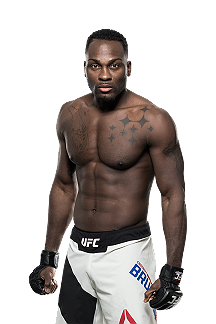 On February 15, 2017, Branch announced that he had re-signed with the UFC and expects to be scheduled to compete in the middleweight division for the promotion by May. Branch faced Krzysztof Jotko in his return to the UFC on May 13, 2017, at UFC 211. He won the fight via split decision. Branch faced former UFC middleweight champion Luke Rockhold at UFC Fight Night 116 on September 16, 2017. 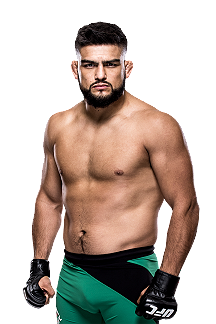 Despite winning the first round, he lost the fight by a tap out due to strikes with 55 seconds remaining in the second round. 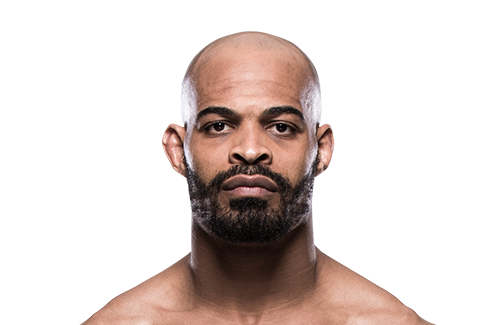 Branch was scheduled to face Yoel Romero on February 24, 2018 at UFC on Fox 28. 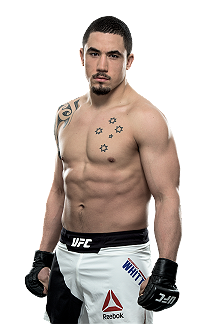 However, on January 12, 2018, it was announced that Robert Whittaker was pulled from the middleweight title championship at UFC 221 and replaced by Romero. Branch faced Thiago Santos on April 21, 2018 at UFC Fight Night 128. He won the fight via knockout in round one. This win earned him the Performance of the Night bonus. Branch was expected to face Ronaldo Souza on November 3, 2018 at UFC 230. However on October 19, 2018 It was reported that Souza replaced injured Luke Rockhold who was scheduled to fight Chris Weidman in the event. It was reported on October 19, 2018 that Jared Cannonier faced Branch instead. He lost the fight via technical knockout in round two, marking the first time he’s been stopped due to strikes. Branch is expected to face Jack Hermansson on March 30, 2019 at UFC on ESPN 2.